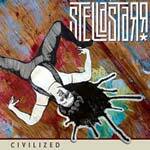 Stellastarr Biography, Discography, Music News on 100 XR - The Net's #1 Rock Station!!! Based in New York City, New York USA, this indie Alternative-Rock outfit officially began in 2002, although the band originally formed as a trio called Ghistor in the late '90s. Singer + guitarist Shawn Christensen, bassist Amanda Tannen and percussionist + keyboardist Arthur Kremer met at Brooklyn's Pratt Institute; they were eventually joined by Philly native Michael Jurin on guitar and the band Stellastarr* was born. Gaining momentum, the group went on to release a series of EPs and demos through its own label, Bloated Wife Records; a deal with New York City indie Tiswas Records followed in 2002 and their the 3-song EP "Somewhere Across Forever" appeared that fall. The quartet's self-titled debut full-length album was released in September of the next year through RCA. 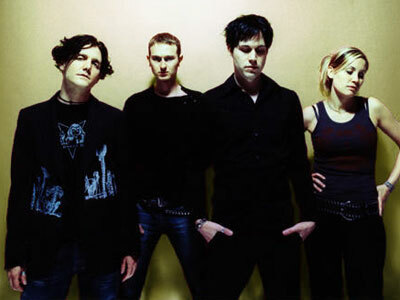 It featured the single "My Coco" which received airplay on alt-Rock radio stations. In addition, support surged in from mainstream press outlets such as Rolling Stone, Spin, New York Magazine, The New Yorker, LA Times and the crème de la crème of the indie world. They continued to grow their following with their second full-length disc "Harmonies For The Haunted" and by touring the country and the world with artists such as Jane's Addiction, Placebo, Editors, The Killers, Yeah Yeah Yeahs and The Red Hot Chili Peppers. The band's sophomore album was released in September 2005 reaching #12 on the Billboard's Top Heatseekers chart led by the single "Sweet Troubled Soul" which charted in the top 40 of the U.S. Hot Dance Club Play list. 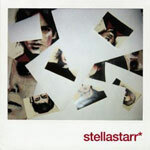 Following their two records with RCA, Stellastarr* decided to branch out on their own. 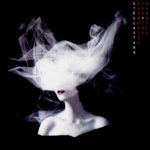 Preceded by the single "Graffiti Eyes", the band's third album, "Civilized", was released in July 2009 on their own Bloated Wife Records, through Warner's Independent Label Group.